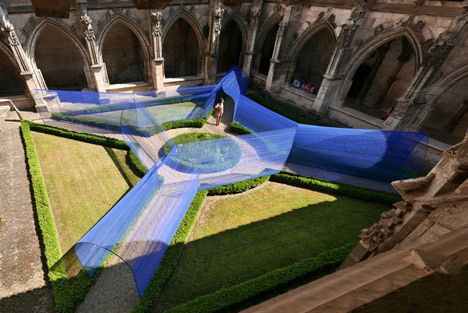 This week we're loving this installation by Atelier YokYok at St. Stephen's Cathedral in Cahors, southwest France. 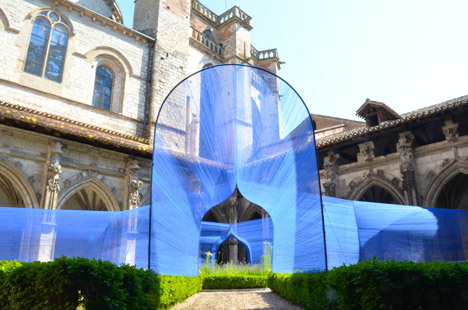 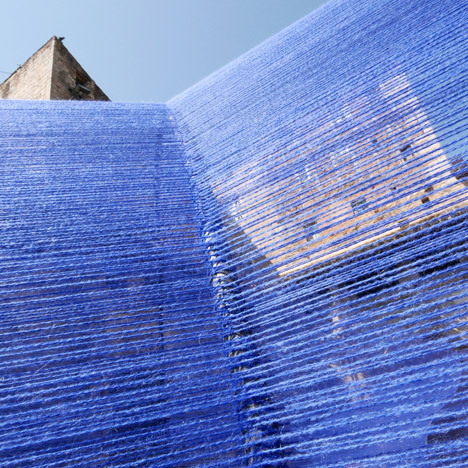 Called Les Voûtes Filantes, or The Shooting Vaults, this stunning installation was created by stretching blue string between different thin metal arch frames typical of Gothic architecture to echo the style of the cathedral. 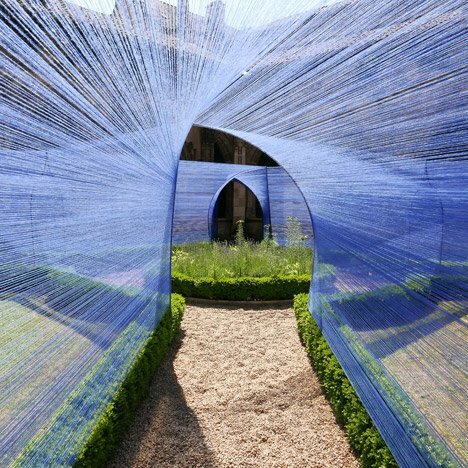 The strings merge into the shapes of the arches, creating beautiful tunnels that are a whimsical play on light and space. 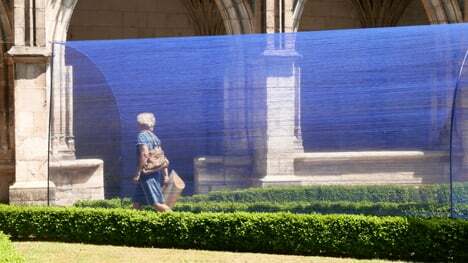 Read more about the project here!